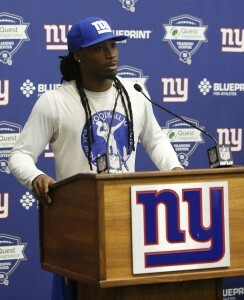 Giants To Keep Janoris Jenkins? 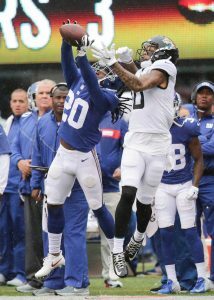 Janoris Jenkins‘ name has been brought up as a potential cap casualty, but the sense around the league is that the Giants have no plans to release the cornerback, according to NJ.com’s Matt Lombardo. The Giants aren’t planning on asking Jenkins to restructure his contract or take a pay cut, either, according to those sources. The Giants figure to make significant changes to their defense this offseason, but Jenkins is still in their plans. The veteran is set to carry a $14.75MM cap hit this year, but releasing him would result in a $7MM cap hit with $7.75MM in savings. Losing Jenkins would also leave them with a thin secondary in the event that safety Landon Collins is tagged and refuses to show up for work. Jenkins, 30, is entering the fourth year of his five-year, $62.5MM contract. Last year, he amassed 70 tackles and two interceptions in a full 16-game season but graded out as Pro Football Focus’ No. 53 ranked cornerback out of 112 qualified players. 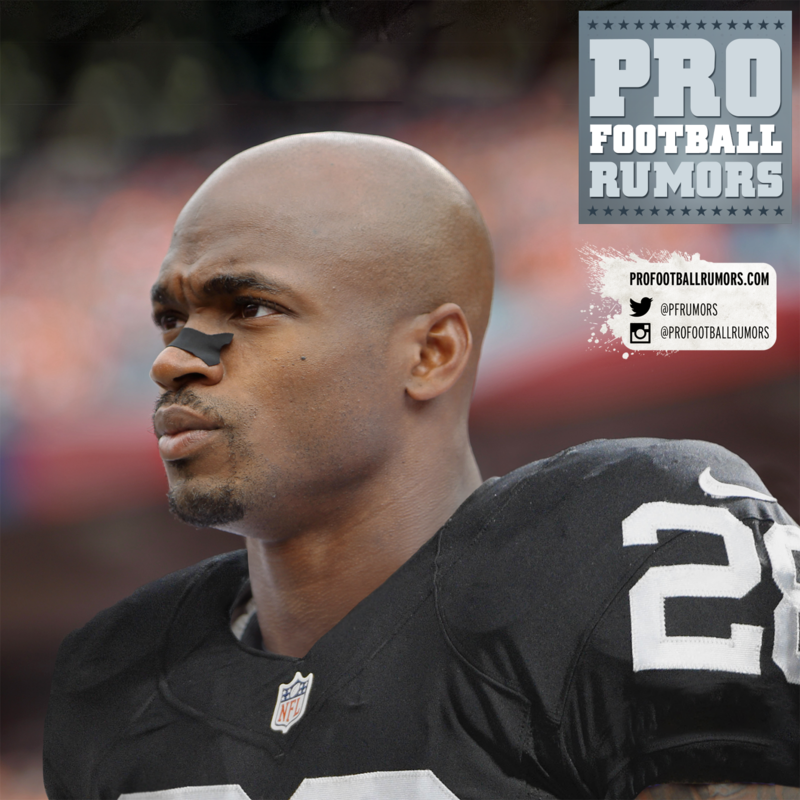 His $12.5MM average annual value, however, positions him as the ninth-highest paid CB in the NFL. Janoris Jenkins is on the Chiefs’ radar, according to Paul Schwartz of the New York Post (on Twitter). Jenkins, who turned 30 this week, has reportedly been on the trade block for the last week as the Giants continue their rebuild. 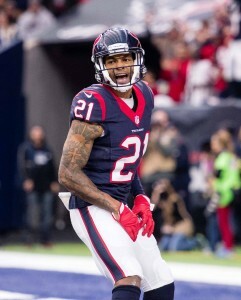 Jenkins is in the third year of a five-year, $62.5MM deal. The Giants, who are virtually out of the playoff picture in 2018, are probably looking at a slow climb back to the top that would have them in contention in 2020. Given Jenkins’ salary and the draft value that he can fetch in return, it only makes sense for the G-Men to explore deals. The Chiefs, meanwhile, have one of the league’s most dynamic offenses, but could use some improvement on the other side of the ball. Eric Berry‘s prolonged absence has clearly dented the secondary, and Jenkins would offer some serious help in downfield pass protection. Presently, the Chiefs are using Kendall Fuller, Steven Nelson, and Orlando Scandrick as their top corners. For what it’s worth, Jenkins currently ranks as Pro Football Focus’ No. 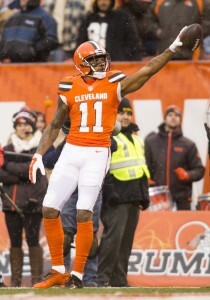 84 ranked cornerback in the NFL, a far cry from his usual position on the list. Giants In Fire Sale Mode? In the span of two days, the Giants unloaded two defensive starters. Cornerback Eli Apple was shipped to the Saints and defensive tackle Damon Harrison was sent to the Lions, and there could be more deals to come between now and the deadline. Those in the know are under the impression that anyone on the Giants defense is available for the right price, Jordan Raanan of ESPN.com tweets. That just might include cornerback Janoris Jenkins, who is drawing interest from teams around the league, according to CBSSports.com’s Jason La Canfora (on Twitter). Jenkins, who turns 30 on Monday, is in Year Three of a five-year, $62.5MM contract, and it doesn’t make sense a rebuilding club to hold on to him. If the Giants can get something of value back for the veteran, they should probably jump at the chance to make a deal, even though it will leave them with some dead money on the cap. Despite having two interceptions and one forced fumble through seven games, Jenkins hasn’t been consistently sharp in coverage. The Giants presently rank 27th in pass defense DVOA, per Football Outsiders, and some of the blame rests on Jackrabbit’s shoulders. If Jenkins remains with the club, he’ll carry expected cap hits of $14.7MM in each of the next two seasons. The Giants have created $3MM in cap space by reworking the contract of veteran cornerback Janoris Jenkins, according to Field Yates of ESPN.com (Twitter link). Jenkins had been scheduled to earn a $10.9MM base salary in 2018, but he agreed to convert $4.5MM of that total into a signing bonus. It’s a positive both for Jenkins, as he’ll get a portion of his money immediately, and New York, who had only about $5.5MM in available salary cap space before today’s move. The Giants needed the extra funds, as certain issues — injured reserve players, adding reinforcements — will arise throughout the season, but restructuring Jenkins’ deal will make him all the more difficult to release down the line. Signing bonuses are prorated over the life of a contract, so Jenkins’ cap charge (and hypothetical dead money) will increase by $1.5MM in both 2019 and 2020. Jenkins had an eventful campaign in 2017, as he missed seven games due to injury and a team-imposed suspension. When he was on the field, Jenkins graded as an average cornerback per Pro Football Focus, which ranked him 60th among 120 qualifiers. He finished 24th in Football Outsiders’ success rate, meaning he was effective at stopping receivers short of the sticks. The Giants will place cornerback Janoris Jenkins on injured reserve as he battles an ankle injury, according to Jordan Raanan of ESPN.com (Twitter link). Jekins will undergo surgery later today, tweets Adam Schefter of ESPN.com. Jenkins has reportedly been playing with a “debilitating” ankle issue that has limited his ability to cut and change direction, so it’s no surprise that New York is choosing to shut down the veteran defensive back in what has become a lost 2017 campaign. Despite his injury, Jenkins hasn’t been terrible, although he certainly hasn’t produced like a shutdown corner (as he did in 2016). 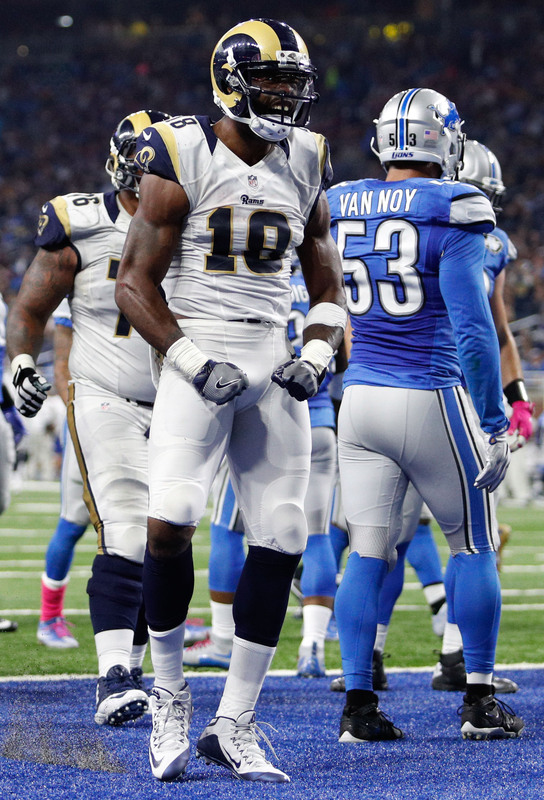 In nine games, Jenkins graded as the NFL’s No. 42 corner among 118 qualifiers per Pro Football Focus, and ranked ninth in Football Outsiders’ success rate. Of course, Jenkins has also been involved in off-field controversy this year, as the Giants suspended him for one week late last month. 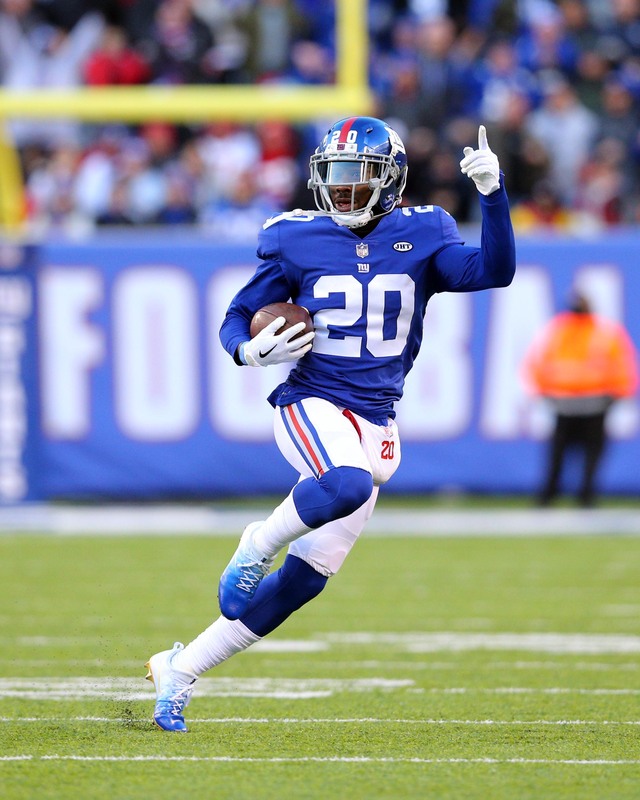 The 29-year-old Jenkins reportedly violated team rules and became the second Big Blue cornerback — joining Dominique Rodgers-Cromartie — to be handed a team-issued ban by New York this year. With Jenkins sidelined, the Giants will likely turn to Ross Cockrell, whom the club acquired from the Steelers prior to the season, as a new starting corner. He’ll likely play opposite Eli Apple, although Apple is going through his own off-field issues. Rodgers-Cromartie will continue to man the slot, while recent signees Brian Dixon and Darryl Morris could theoretically see playing time given New York’s lack of secondary depth. Jenkins signed a five-year, $62.5MM contract with the Giants prior to the 2016 campaign, and he’s $10.9MM in non-guaranteed base salary next season. While there’s been no indication New York has any interest in releasing Jenkins, the club could soon be under new management (both in the front office and on the coaching staff). The Giants would save $7MM by cutting Jenkins next spring. The Giants‘ disastrous 2017 season keeps getting worse. According to Adam Schefter of ESPN.com, New York cornerback Janoris Jenkins has been playing for the last two months with a “debilitating” ankle injury that has limited his ability to cut and change direction (which certainly could explain why he has regressed this year after enjoying a strong 2016 campaign, his first with Big Blue). Schefter says that Jenkins will need to undergo ankle surgery at some point, and doctors are scheduled to discuss the matter tomorrow. It sounds as if Jenkins will be shut down so that he can have the surgery, which makes plenty of sense given that the Giants do not have anything to play for this year. Schefter reports that the NFL has already spoken with Buccaneers head of security, Andres Trescastro, as part of its investigation into the most recent sexual assault accusations leveled against Tampa Bay quarterback Jameis Winston. Schefter says the conversation was more introductory and exploratory in nature, and that the league’s investigation is not expected to be wrapped up by the end of the season (which is hardly surprising). Winston, of course, is also battling a shoulder injury, and Ian Rapoport of NFL.com (video link) reports that the Buccaneers signal-caller received platelet-rich plasma injections several weeks ago and is rapidly improving. However, Jenna Laine of ESPN.com cautions that Winston receives an MRI every week, and last week’s MRI revealed he was still not ready to return to practice, despite the PRP injection. Taking reps in practice will be the next step for Winston. Seahawks head coach Pete Carroll indicated that there will soon be more clarity on the injuries to defensive stalwarts Cliff Avril and Kam Chancellor, as Mike Florio of Pro Football Talk writes. Avril is battling a serious stinger and numbness in his arm that was initially reported to be career-threatening, while Chancellor is contending with a neck injury that will likely sideline him for the rest of the year, though Carroll recently kept the door open on a return for his star safety. Seahawks left guard Luke Joeckel, who has missed the last five games following arthroscopic knee surgery, is expected to return to action for today’s matchup with the 49ers, as Brady Henderson of ESPN.com writes. The Cowboys have waived Darren McFadden, and Ed Werder names the Seahawks as a potential fit for the former first-round pick (Twitter link). As Werder observes, Seattle is the only ream in the league without a running back that has rushed for 250 or more yards, making a McFadden-Seahawks marriage eminently plausible. In addition to shakeups at cornerback and the rest of their roster, the Cowboys are looking at potential changes to their safety positions as well, as Clarence Hill, Jr. of the Star-Telegram tweets. The Giants have suspended a second starting cornerback this season. This time, it’s Janoris Jenkins who has encountered a team-imposed suspension, Kimberly Jones of NFL.com reports (on Twitter). Jenkins violated team rules and will miss at least this weekend’s game against the Rams, per Jones. This follows the Giants’ suspension of Dominique Rodgers-Cromartie earlier this month. When the Giants returned from their bye on Monday, Jenkins was not with the club. At the time, coach Ben McAdoo said he was excused for “personal reasons”. On Tuesday, McAdoo said that was not really the case. “At that point, neither myself nor any of the coaches had heard from Jackrabbit,” McAdoo explained, referring to Jenkins by his locker room nickname. So far this year, Jenkins is ranked as the No. 28 cornerback in the NFL by Pro Football Focus. His 81.5 grade is solid, but it’s a step back from his 88.0 showing in 2016. We’re still waiting to hear why Jenkins was MIA on Monday, just one day after his 29th birthday.